Portuguese singer Maria João is well known for her vocal range and improvisation skills. 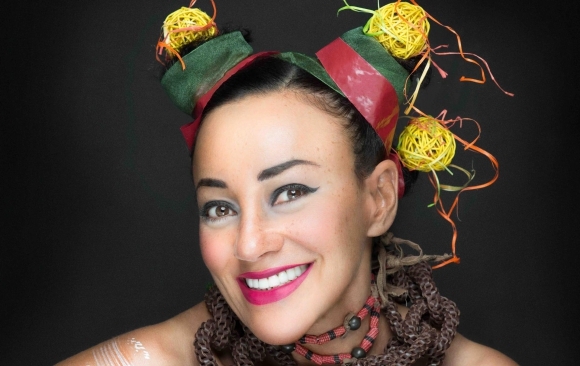 Although primarily a jazz singer, she also excels in folk, ethnic and avant-garde styles. Defined by her unique style, Maria João became a mark in the improvised music scene. Her remarkable vocal ability and her singular interpretive intensity earned her the international recognition as one of best singers worldwide. Unanimous applause, criticism and public opinion have named her „a voice taken to the last consequences“, declaring her „a singer who does not stop evolving“. She collaborated with great names from the most creative jazz area, such as Bobby McFerrin, Aki-Takase, Joe Zawinul, Hermeto Pascoal, Ralph Towner, Manu Katche, amongst many others.